If you do not see this menu item you will need to have an administrator grant access (see Giving Agents SMS Capabilities). 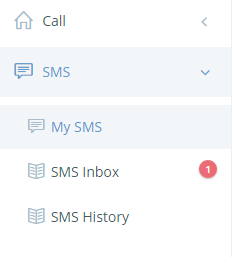 You can send a new message from the My SMS page. First, navigate to the My SMS page and select a caller id number from the Caller Id drop-down box. Next, enter in the customer/client number in the Phone# box. If necessary, you will have to change the country of the customer’s cell phone from the country selector drop-down on the left of the Phone# text box. After verifying the details you can click the Go! button which will load any customer details in the chat box and start the conversation. To send the message enter your message in the message text box and click the checkbox button beside the text box where the message was entered. You should see your sent message in the chat window. 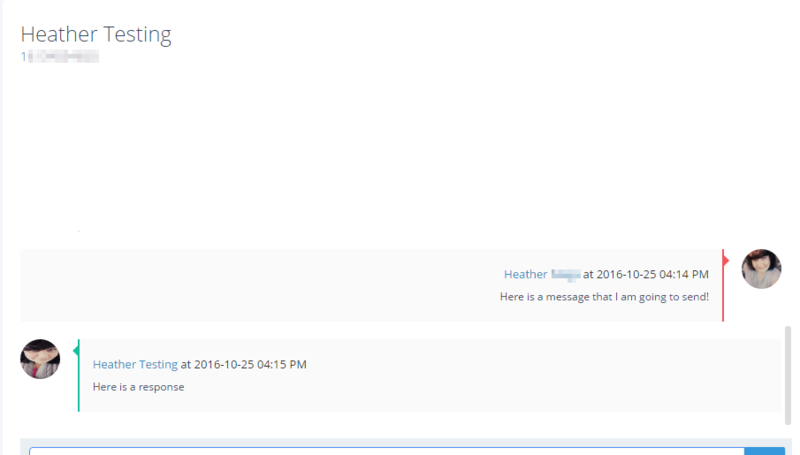 If the customer responds immediately, you will see the message in the chat window as well. If there have been any recent conversations, you can click on the client/customer name under recent conversations and the message string will be displayed in the chat window.